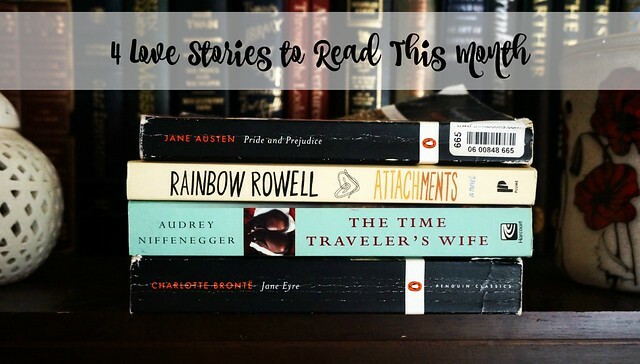 I couldn’t write this post without mentioning one of my favorite books, Pride and Prejudice. I don’t know what I love more … the prose, the pomp and circumstance over every little thing, Mrs. Bennett’s nerves, or Mr. Bennett’s lackadaisical attitude toward the whole thing. It’s a classic that I think everyone should read. Alternatively, there is a Pride and Prejudice and Zombies novel by Seth Grahame Smith just in case you like your love with a side of action. I read this last year and absolutely loved it. It’s the story of two unlikely people finding each other. I’m not sure if everyone would count this as a love story, but it is in my book! (pun intended) This was my first Rainbow Rowell book and made want to read the rest of her books. This is about an IT guy who works at a newspaper. He is hired to monitor emails between employees for non-work-related topics. He comes across an email exchange between two ladies, Beth and Jennifer. Instead of reporting their ‘illegal’ email activity, he reads them every day. He falls for one of the girls and is conflicted about what to do. It’s really good. I definitely recommend it! If you’re in the mood for a heavier love story, then The Time Traveler’s Wife is for you. This was made into a movie, but I haven’t seen it. I really don’t want the movie to ruin the book for me, because the book is just that good. This is about two people, Clare and Henry. They meet when Clare is a child and Henry is a young man, but they are actually about the same age. How is that? Well, Henry is a time traveler. He has no control over when and where he travels to, and at one point he meets Clare. Since he has been back and forth across his own time line, he knows more about Clare than she does when they first meet. This is the kind of story that stays with you for a long time. Now, I love this book so much that I recently bought a second copy of it. It is one of my all-time favorite classics! This is about Jane, an orphaned girl who has an unhappy childhood. As a young woman, she is employed as governess at Mr. Rochester’s house. She falls in love with Mr. Rochester but discovers a horrible secret in the attic. Although this is a love story, it has a lot of plot twists and is actually quite suspenseful! This classic should be read by anyone who loves a good love story! I hope you enjoyed this mini round up! What will you be reading this month?